CAIRO– Egypt coughs up tens of billions of pounds to subsidize basic commodities and fuel for Egyptian citizens every year. Most of the subsidies go for fuel and food A leaked audio recording purportedly by Egyptian army chief and Defense Minister Abdel-Fattah al-Sisi has showed the top general calling for reconsideration of state subsidies in Egypt. A leaked audio recording purportedly by Egyptian army chief and Defense Minister Abdel-Fattah al-Sisi has showed the top general calling for reconsideration of state subsidies in Egypt. 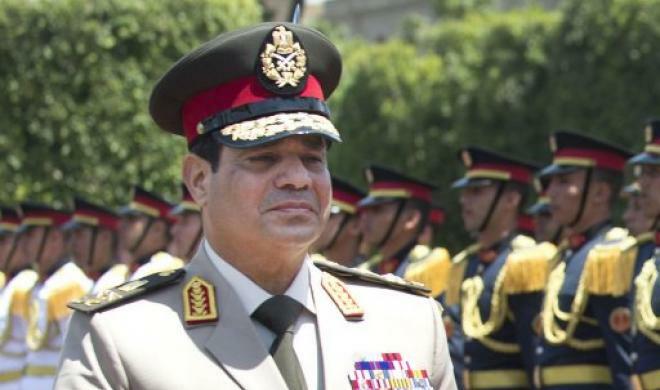 The Jazeera Mubasher Misr released the audio recording of comments said to have been made by al-Sisi during a meeting with army officers in December. “President Sadat wanted to seriously face the problem,” al-Sisi purportedly says of late president Anwar Sadat, who had tried in 1977 to slash subsidies, triggering violent riots in Cairo and other provinces. Egypt coughs up tens of billions of pounds to subsidize basic commodities and fuel for Egyptian citizens every year. Most of the subsidies go for fuel and food. In the leaked recording, the army chief allegedly said that successive Egyptian governments have avoided slashing the subsidies to avoid similar riots. Al-Sisi cited the cost of the butane gas canisters, which costs 67 pounds (around $11), while they are sold to citizens at prices below their real cost. Anadolu Agency could not independently verify the two-minute recording. Al-Sisi’s comments are believed to have been made following a decision by then president Mohamed Morsi to reverse an earlier government decision to raise the taxes on several commodities and services.